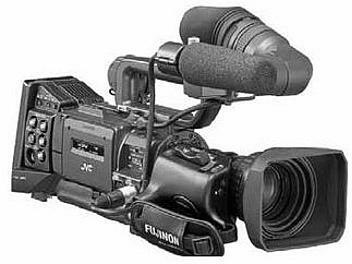 Dual role studio and ENG/EFP camcorder with optional studio adapter, offering HD SDI / SDI and 26 pin multicore connectivity. Live uncompressed 1080i and live uncompressed 720p are menu selectable as the HD SDI output, which is also carrying embedded audio and timecode. The DC power requirement is 12V which can be supplied either via the built-in V-plate battery mount or via AC adapter and the 4 pin XLR connector.